Here is a brief overview of some of the projects we have worked on in the past. 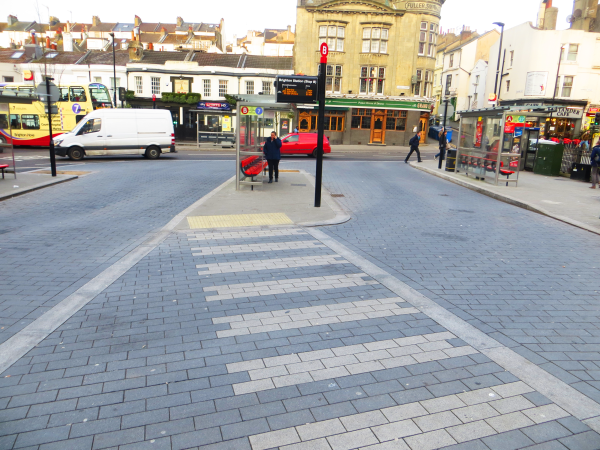 Including several from Brighton Council. 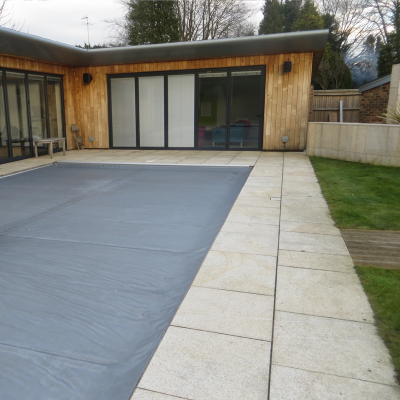 For this project in Stoneleigh, we replaced old loose shingle, with a beautiful new KBI Flexi™-Stone Surface. 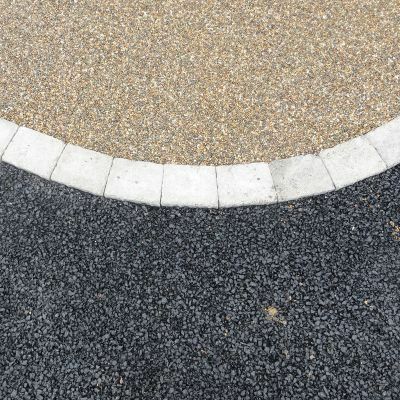 The material shares many of the same features as KBI Flexi™-Pave product, but utilises purely stone instead of a rubber & stone mix. 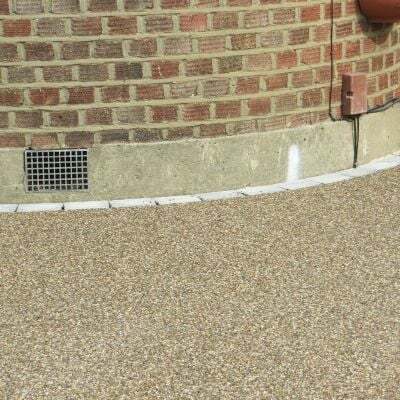 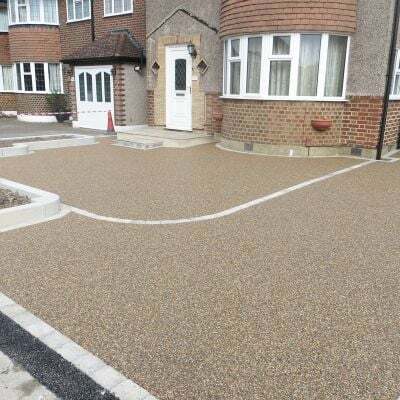 The stone is bound using a modified polyurethane agent, resulting is a totally porous surfacing material that will not crack, tear, split or freeze. Flexi™–Stone is porous. 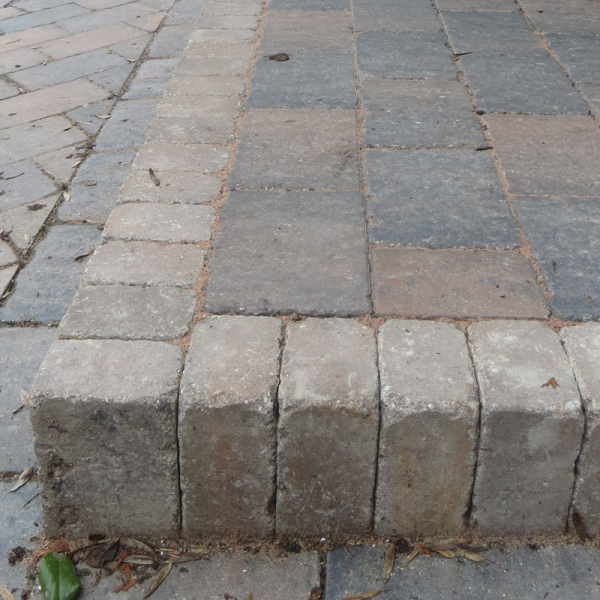 This means that water will run straight through it. No more standing water! 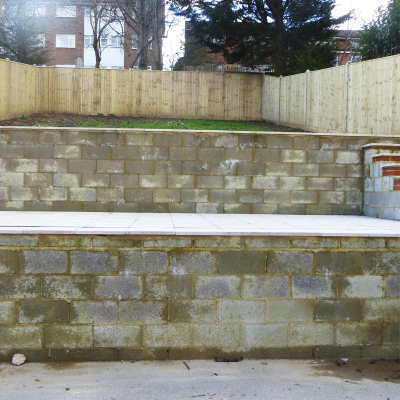 We also replaced the existing brick wall, with a new one, and added new lighting. 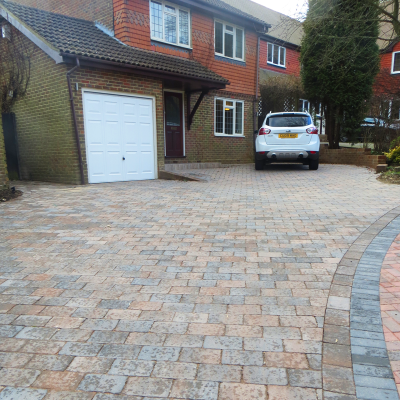 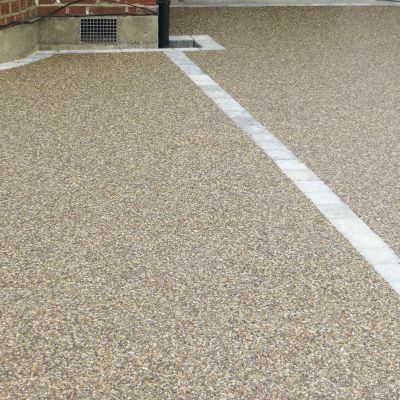 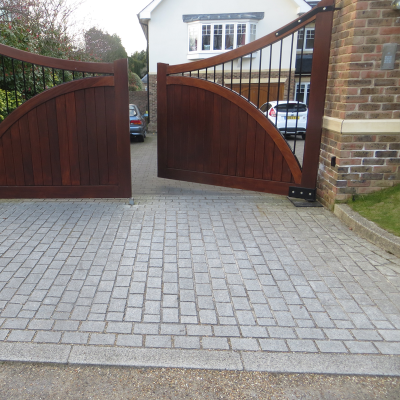 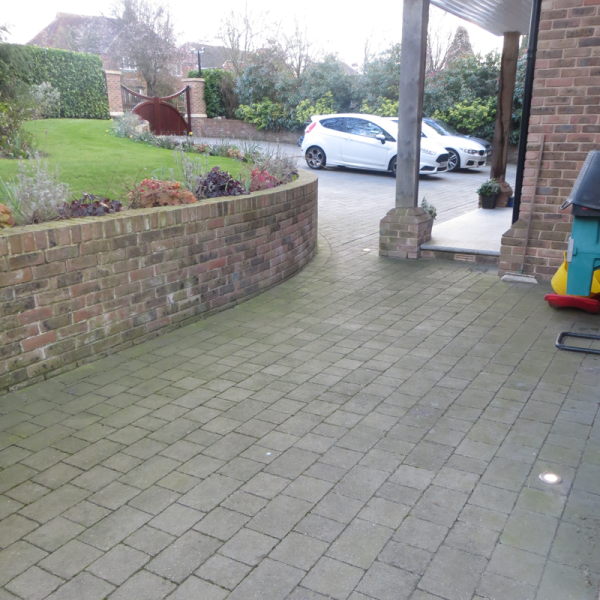 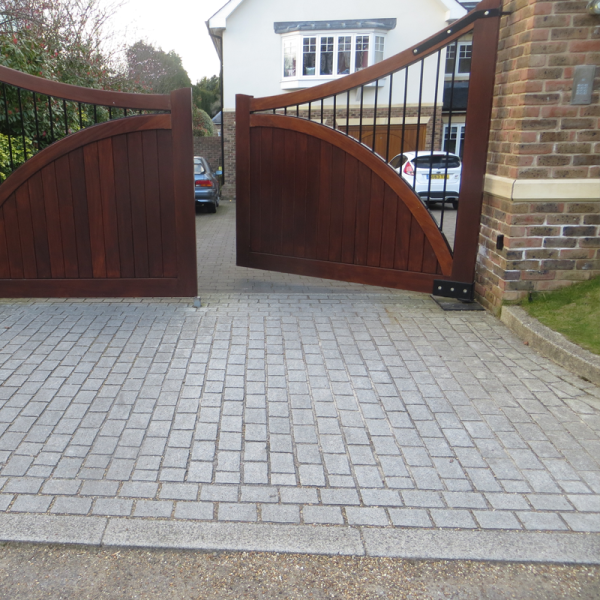 For this driveway in cheam, we installed KBI Flexi™–Stone. 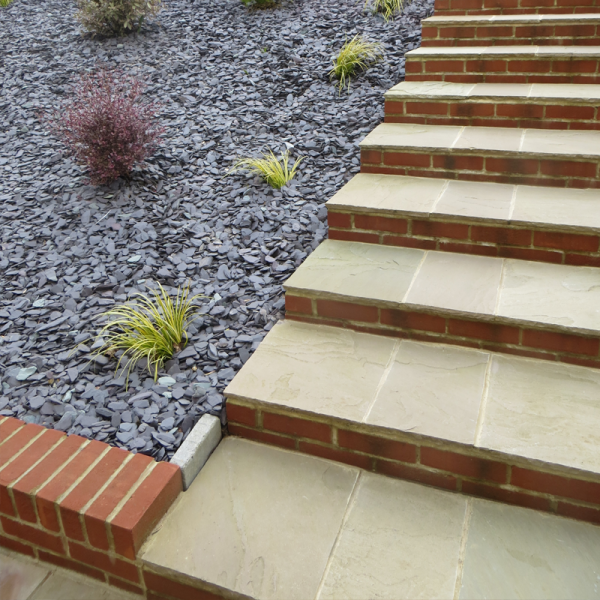 Flexi™–Stone was a great choice, as not only is it a very good looking surface, it is also porous. 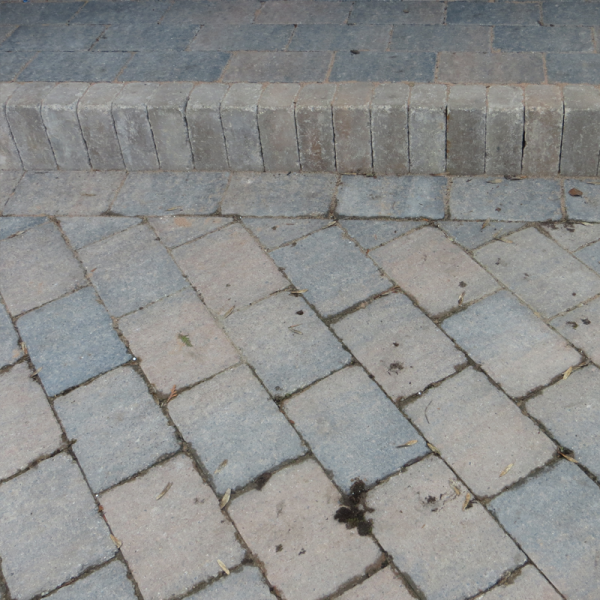 This means that water will run straight through it. 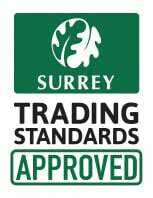 This results in no more standing water, and a much more sustainable drainage system. 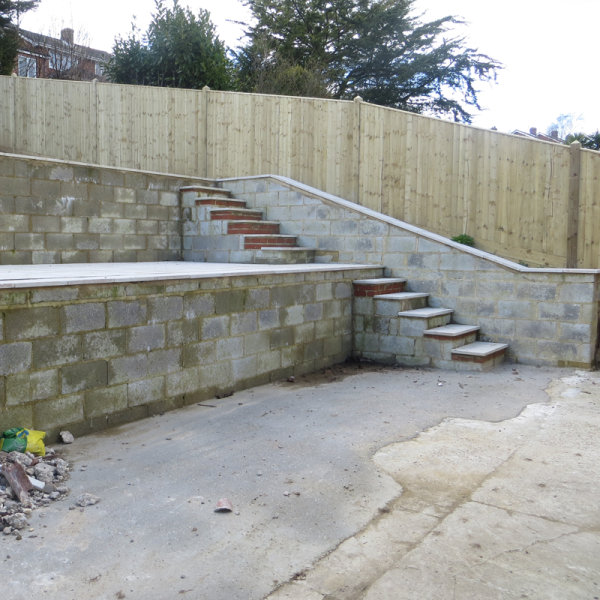 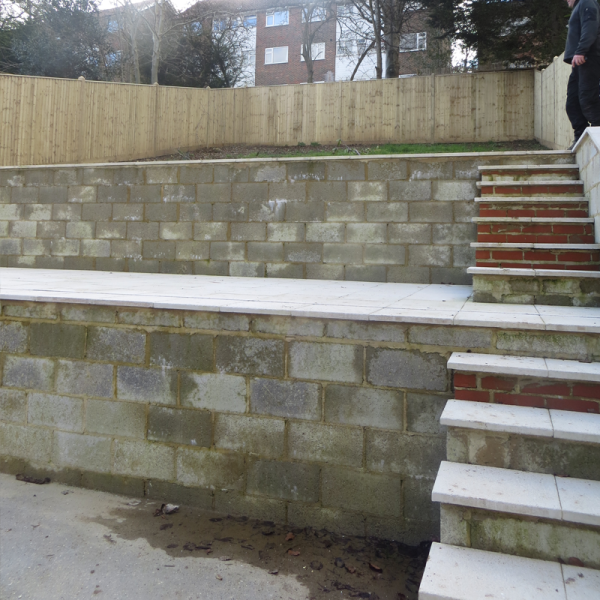 This involved the refurbishment of a run-down area in Brighton. 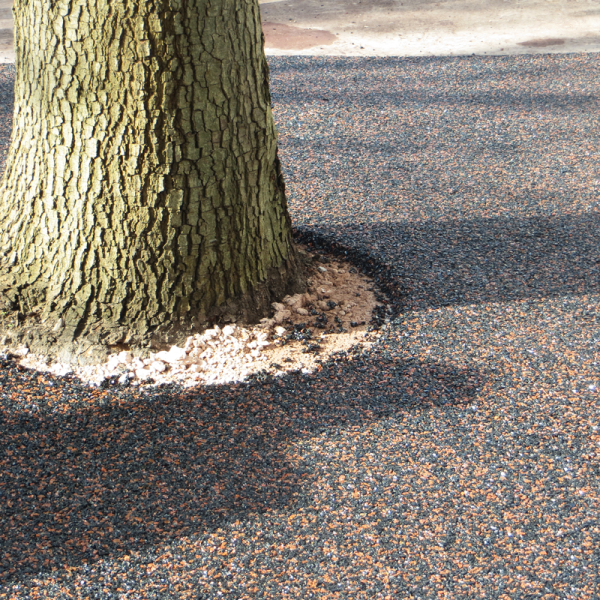 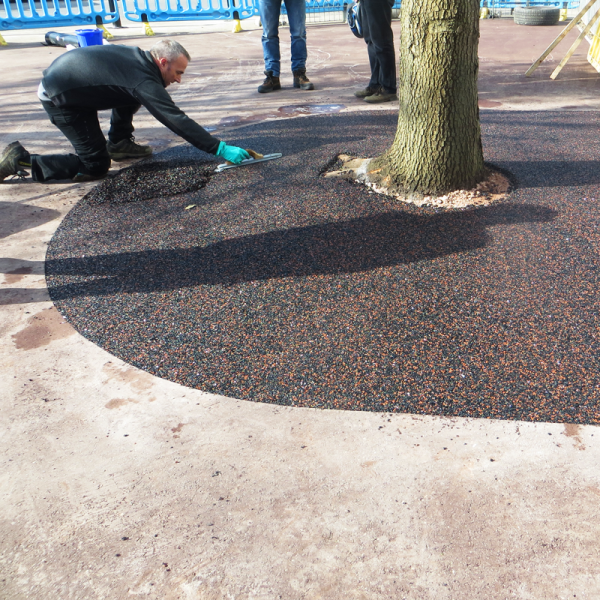 As an approved installer of KBI products, we surrounded the trees with KBI Flexipave. This porous material is part rubber and allows for water to run straight through. It is also flexible to allow for root growth. 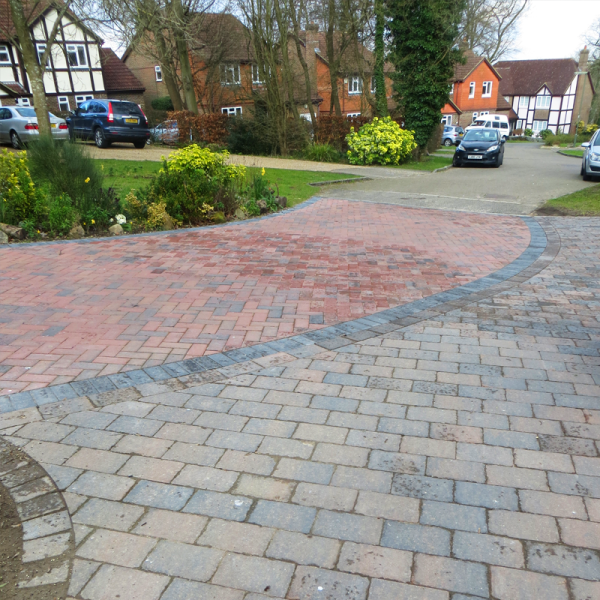 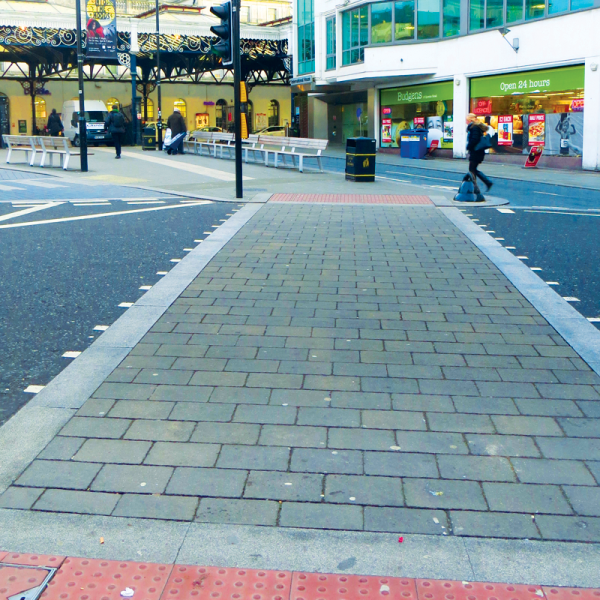 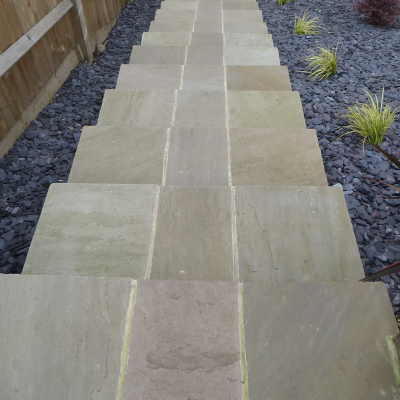 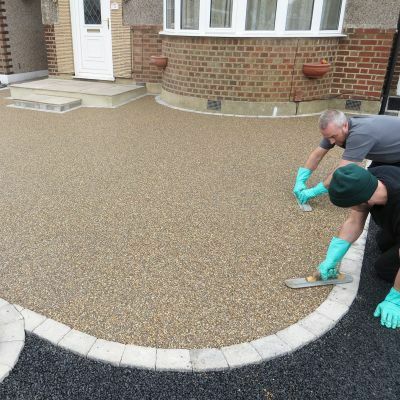 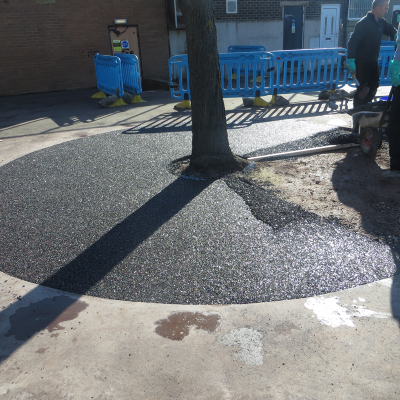 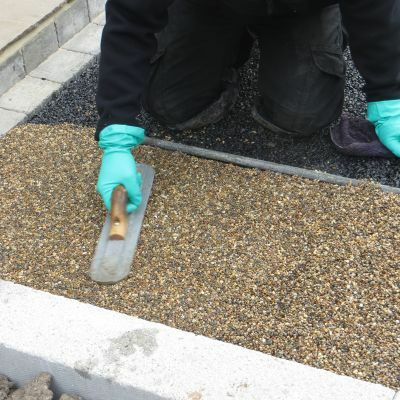 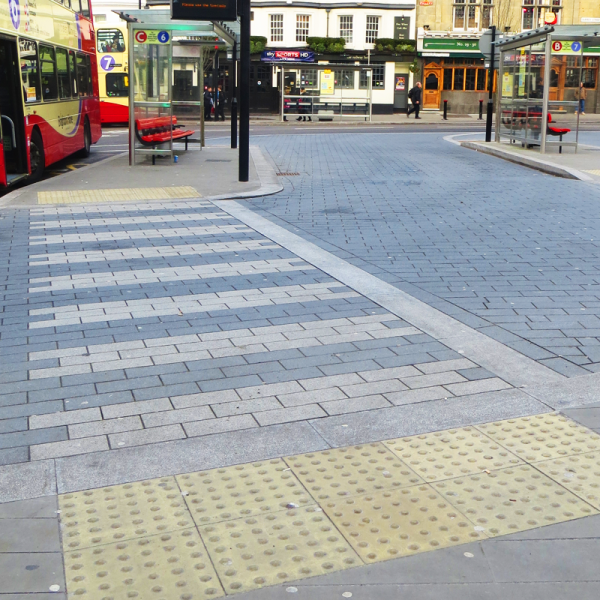 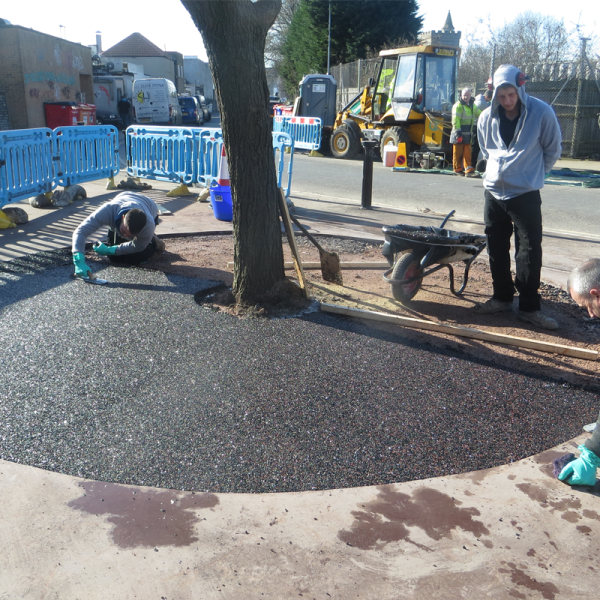 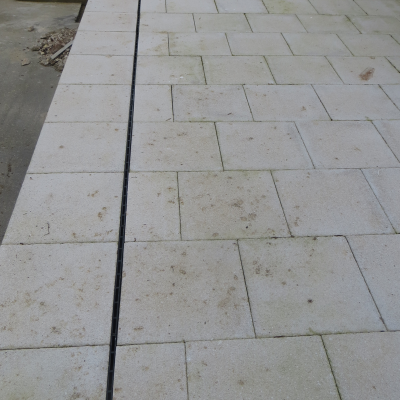 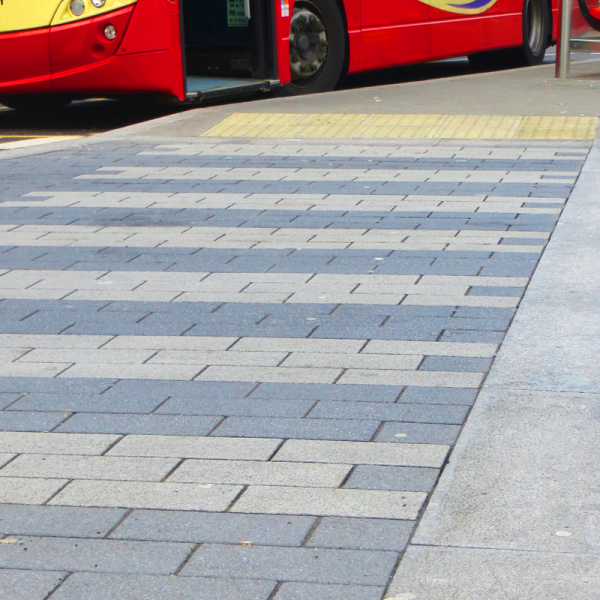 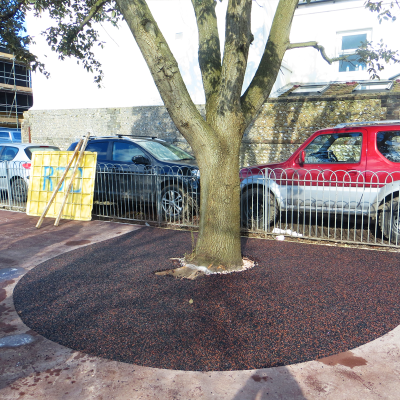 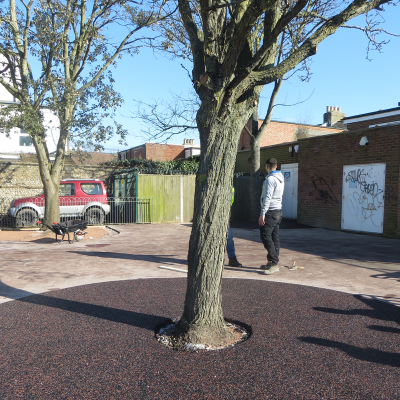 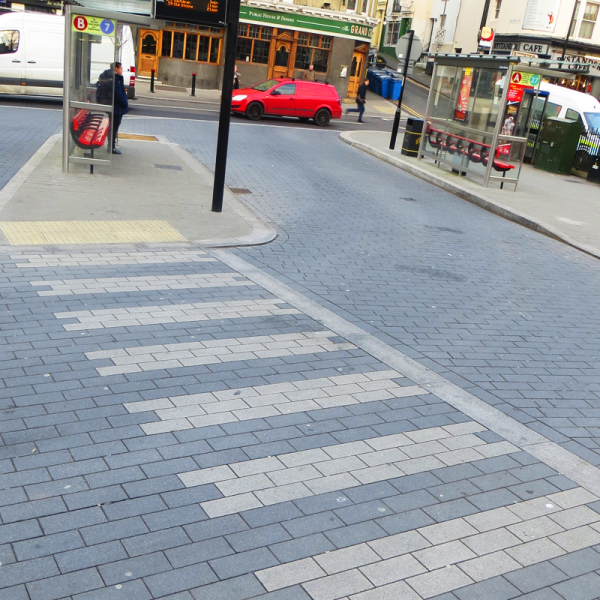 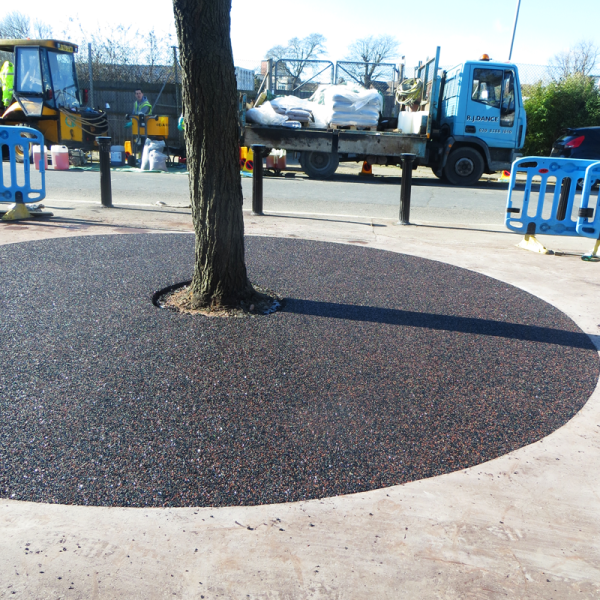 For this project we supplied the skilled labour, for the kerb and paving works. 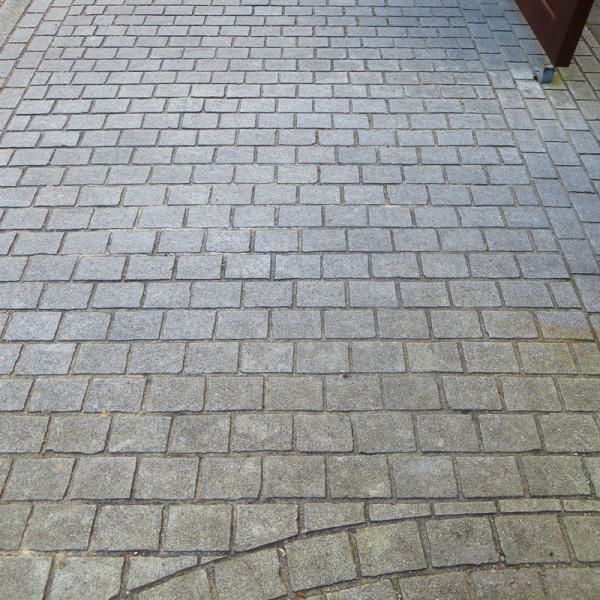 This was a tough one. 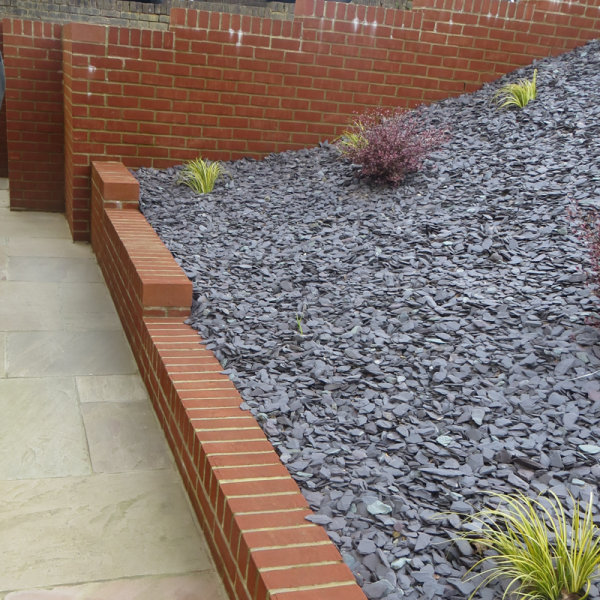 Several companies had refused to do this job, because of the sheer steepness of the terrain. 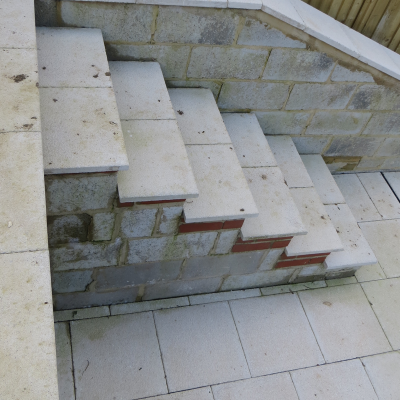 But we like a challenge! 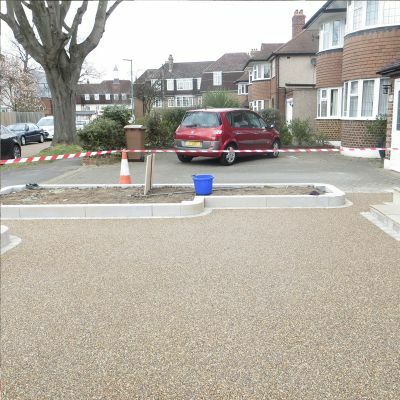 This job involved digging out a huge amount of soil, to prepare the ground for paving. We also built some walls and steps, to manage the incline. The walls are still waiting to be rendered by the client. 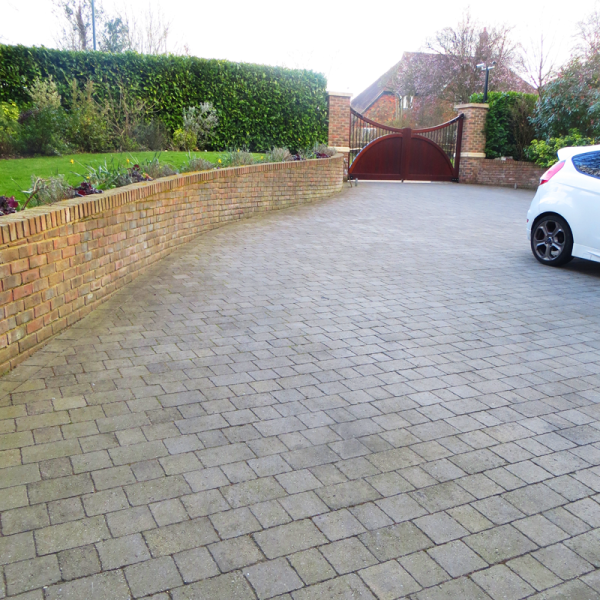 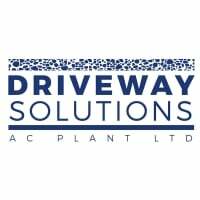 This job involved working on a clients driveway, aswell as a shared drive through. 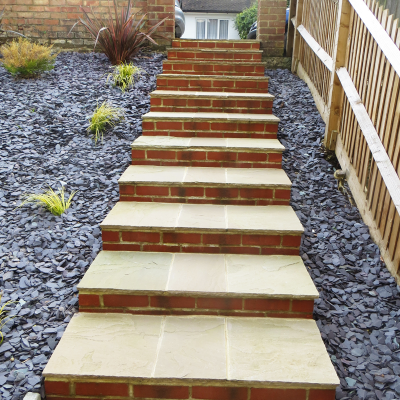 We also installed a new stone step. 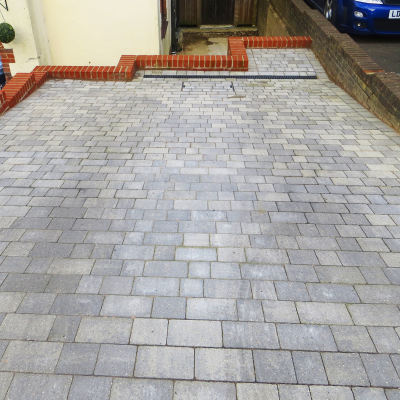 Several different paving options are on show here: Block Paving and Tegular Paving. 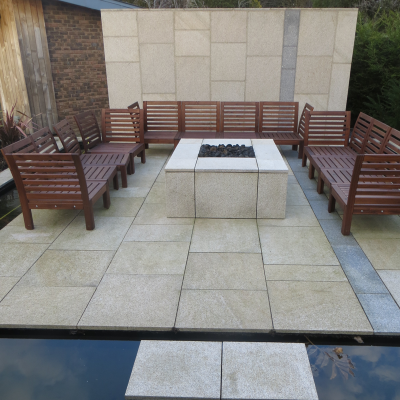 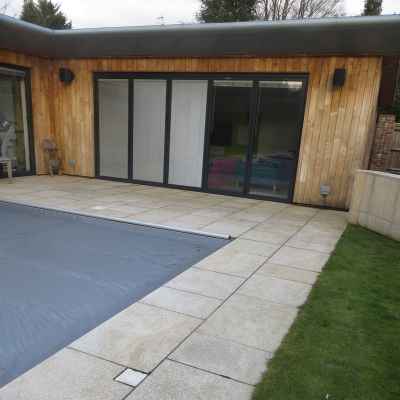 For this client we placed paving slabs the entire way round his swimming pool. We also built a seating area with tiled wall and surround. 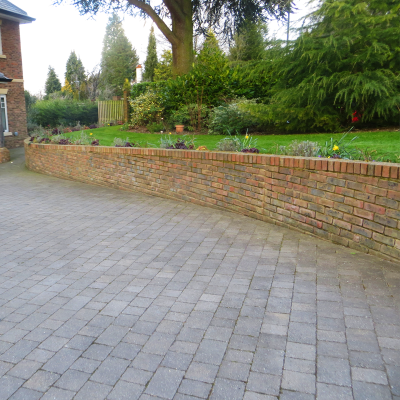 For this client we refurbished a large sloping drive, with wall surround. 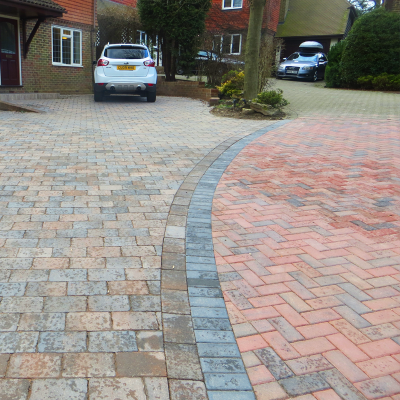 We then added more paving to entrance.